When I arrived at the Dublin Castle, Emily was still warming up on stage with her new band. She eventually came out and informed me that they would be ready soon after 3pm. I got chatting to Nick (a Port Vale fan) on the next table who had come down from Stoke. Emily opened the set with two solo numbers; ‘Tupac’ (I think?) and ‘Hit the Road Jack’, which was written by Percy Mayfield and made famous by Ray Charles in 1961. She was then joined by three members of her new band, namely; the drummer plus bass and lead guitar. They went on to perform; ‘Brixton Prison’, ‘Joey’ and ‘The Strut’ (all from her ‘Notorious M.L.E.’ EP) plus a new song titled ‘Until Monday’, which is to be included on a forthcoming release scheduled for around Christmas time. Sax and trumpet joined the already crowded stage and the next number was dedicated to those that wander about wearing holiday T-shirts emblazoned with places that they have never been to, and also to those folk that pop-up everywhere showing off their Manchester United tops, plus other similar types. This was followed by another newie: ‘Twisting’, which was inspired by the late, great Sam Cooke. The final song was ‘Bonanza’, which I had heard before. It has nothing at all to do with the old television cowboy series, but was in fact the name of Buddy Holly’s ill-fated airplane. The lights went up and the five boating-type blazers were discarded by the band and it soon became apparent that these garments were the subject of much banter. I would suspect that they will never be worn again! The new set-up provides a much broader, fuller sound and I really liked the new material. I’m now looking forward to the next London gig and the new EP at the end of the year. 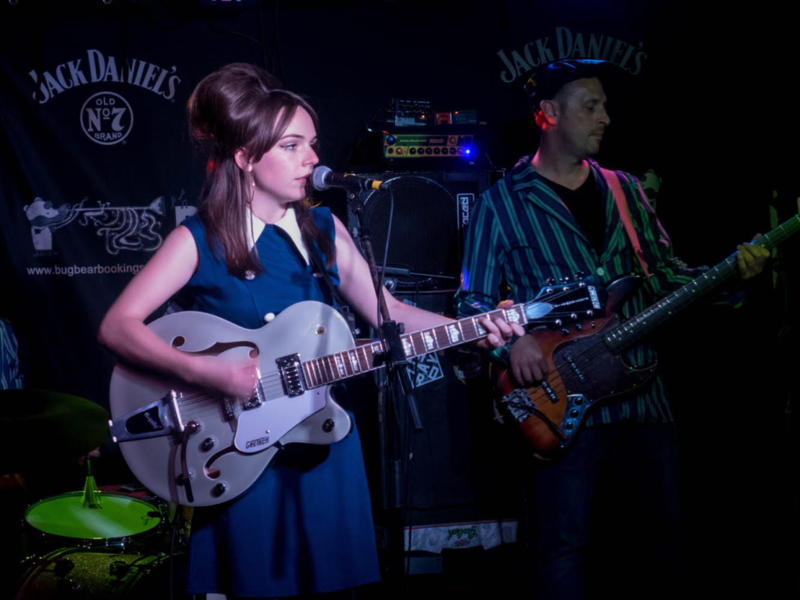 Emily is set to support ‘The Spitfires’ at Jimmy’s in Manchester later this month.